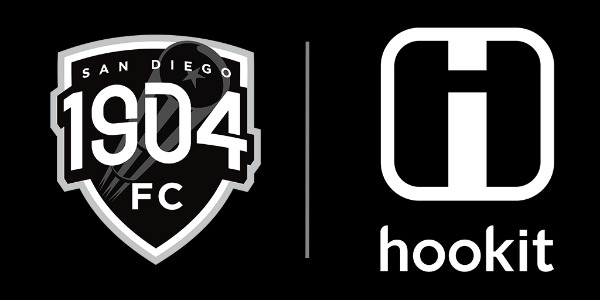 SAN DIEGO (Jan. 18, 2018) – San Diego County’s newest professional men’s soccer team, 1904 FC, has signed a partnership with Hookit, the leading sponsorship analytics and valuation platform for sports. More importantly, Hookit helps teams, brands, and companies, like 1904 FC, maximize sponsorship investments and increase their value and rapport to current and future partners. As the club prepares for their inaugural season, this will be a crucial relationship as it will help optimize the team’s return on investment across their social and digital media platforms. Hookit will be analyzing all aspects of the club’s marketing and social media platforms; from overall engagement, hashtags, brand logos, and more. 1904 FC will have access to real-time comprehensive analytics and insights provided by Hookit for comparative benchmarking. 1904 FC is San Diego County’s only professional men’s outdoor soccer team, which launched in 2017. The club is a member of the North American Soccer League (NASL) and is co-owned by several, including international soccer stars Demba Ba, Eden Hazard, Moussa Sow and Yohan Cabaye. For updates and information visit www.1904FC.com or follow the club on social media: Facebook/Instagram- @1904FC and Twitter- @1904_FC. Hookit is the leading sponsorship analytics and valuation platform for sports. As consumption and fan engagement of sports grows exponentially on social and digital media, Hookit helps brands to maximize sponsorship investments and empowers athletes, teams, leagues and federations to prove and increase their value to sponsors. Hookit measures value across multiple social and digital platforms by analyzing overall engagement and brand promotion, including mentions, hashtags, keywords and logos within photos and videos using computer vision software. Hookit’s Valuation Methodology (HVM) was awarded The 2016 Digital Marketing Association’s Innovation Award for Valuation and Attribution. Hookit’s growing roster of marquis clients includes New Balance, GoPro, Monster Energy, Sony, Vans, Asics, Major League Soccer, Canadian Olympic Team, World Surf League, FIS, NHRA, McLaren F1, Speedway Motorsports Inc., BF Goodrich/Michelin, Liverpool FC, United States Ski and Snowboard Association and Feld Entertainment. Hookit is based in Solana Beach, CA. For more information, visit www.hookit.com.